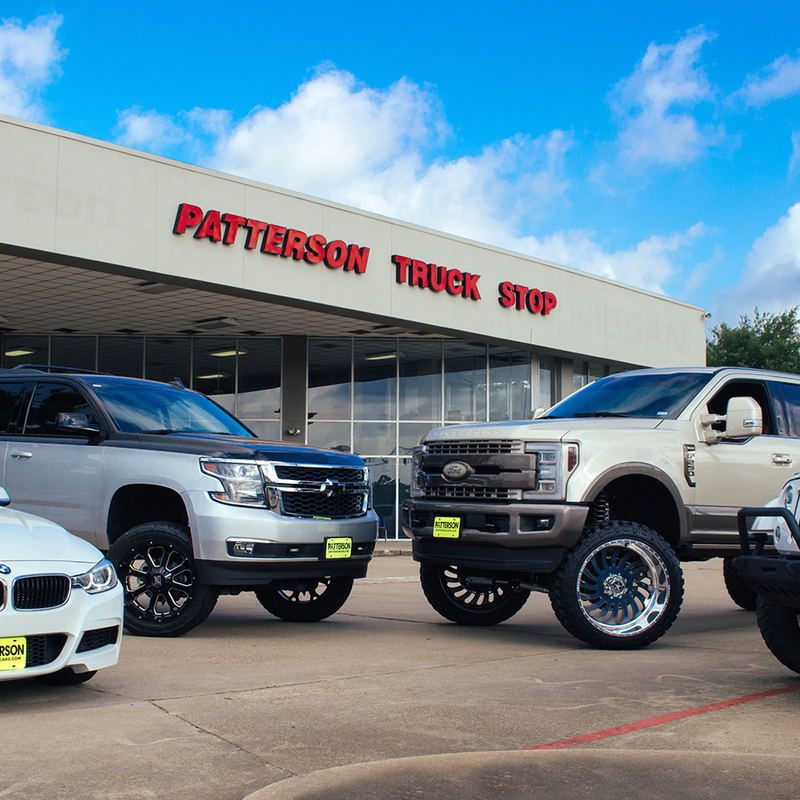 Welcome to Patterson Cars. Home of the Free Lifetime Warranty, and the number 1 pre-owned car dealer in East Texas. Click a dealership to browse online, or call us today! 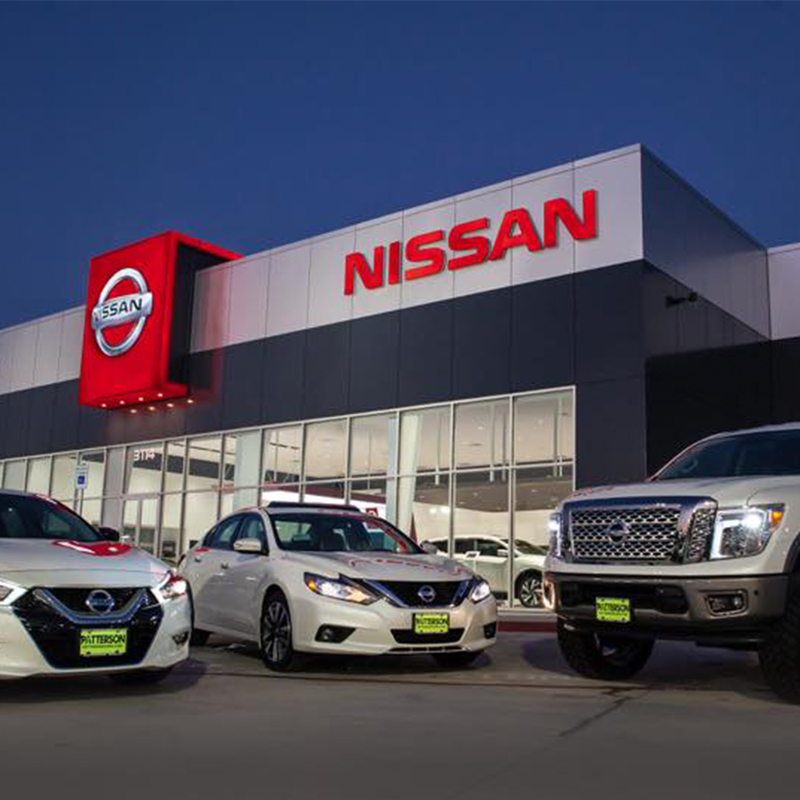 Nissan dealership with service, parts, rentals, and car wash.
Chrysler, Dodge, Jeep, Ram dealership with service department and body shop. Hyundai dealership with parts, service and body shop. Volkswagen dealership with full parts & service department. Chrysler, Dodge, Jeep, Ram dealership with parts, and service department. Chevrolet dealership with body shop, parts and service.